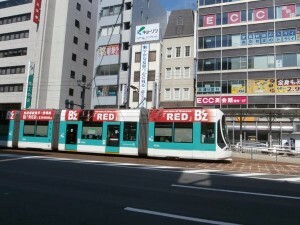 Tram in Hiroshima as seen from the street. 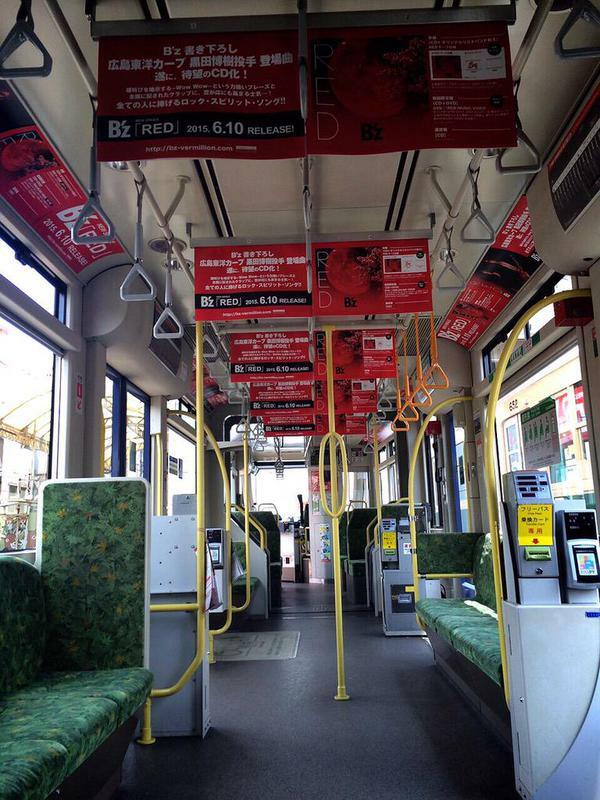 With under one week until the release of 「RED」, music channels have started airing the short version of the music video, which basically is the first half of the song. 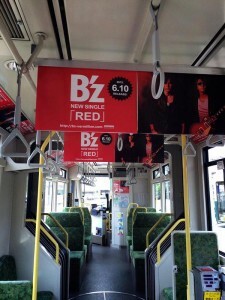 Furthermore, promotion for the new single has started in the streets of Hiroshima. 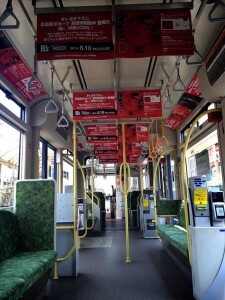 Trams are decorated with posters advertising the new single. Check out the short version of the music video below! If you haven’t pre-ordered 「RED」 yet, you can do it HERE.